Wallet in goat and calfskin 12,5cm x 7cm. 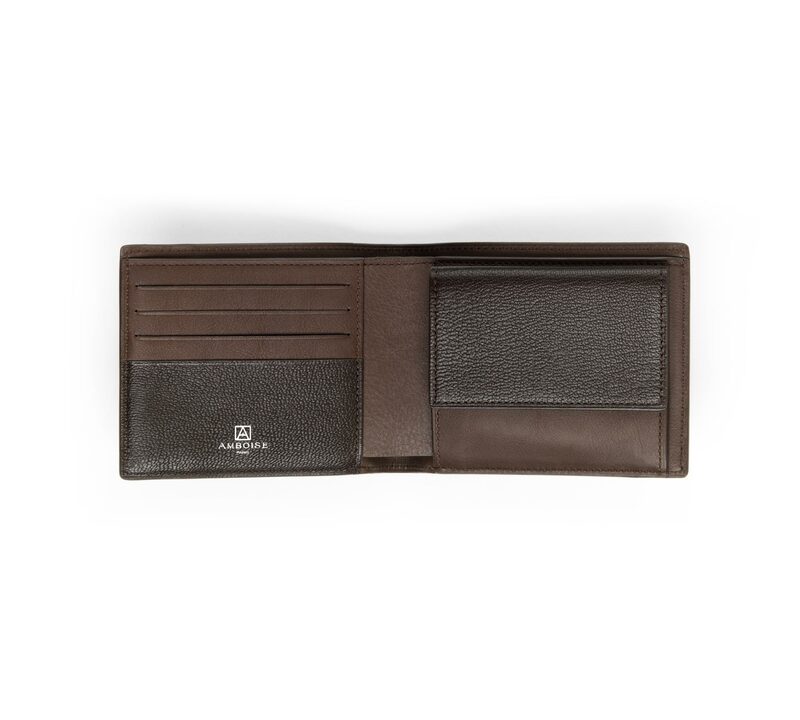 4 card slots, a change pocket and two sections for notes. Also available in full calfskin.